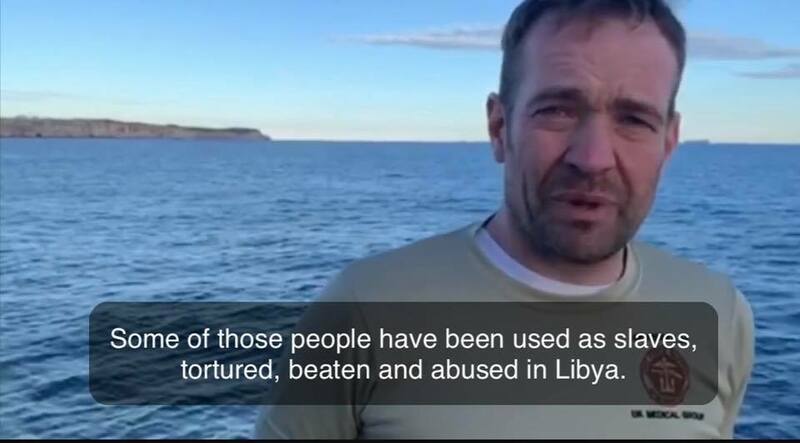 This story comes from my friend Brendan Woodhouse who is currently volunteering on the SeaWatch3, the only NGO rescue ship operating off the coast of North Africa. More people than ever before are drowning in the Mediterranean even though every death is preventable. Brendan and the SeaWatch3 are saving lives while Europe looks away. “Just another update. I can’t get sufficient internet to post any photos, but I know many people want to know whats happening. Last night we went as fast as we could to the boat in distress. A cargo ship got there first and then took the people back to Libya. We await news of what happened. Probably, the so called Libyan Coast Guard will say that they coordinated rescue operations and rescued some people. They’ll not mention anything about the deaths. So we won’t question them. But the truth is, that they were uncontactable. That the Italians coordinated the rescue. And that it’s not really a rescue per se, as the people have been returned to whatever it is that they are running from. Reports from the people we rescued on the 19th are grim. One guys story is the worst that I’ve heard, and his scars are utterly evident. He recalled the story of each wound to me. It hurt just to listen. But I’ll write about him another time. Despite these stories though, as our ship requests a safe port in Europe, the people on our ship are fantastic. We are trying to build a community of love on our ship. And everybody mucks in. The guy with the worst scars I’ve ever seen smiles and says that he is safe now, finally, after years of imprisonment, torture and abuse. He sits and washes the dishes each time we eat.